Digital dementia presents with very specific symptoms. Modern day workers have different threats to their health than previous generations. One major cause of digital dementia is our sedentary lifestyles. The human body is designed to move. Lack of activity can have a grave impact on the cognitive thought processes. During our time together, we will discuss the signs of digital dementia and work with you to improve your postural design by teaching you how to set up your workspace in a healthier manner to enhance your performance. 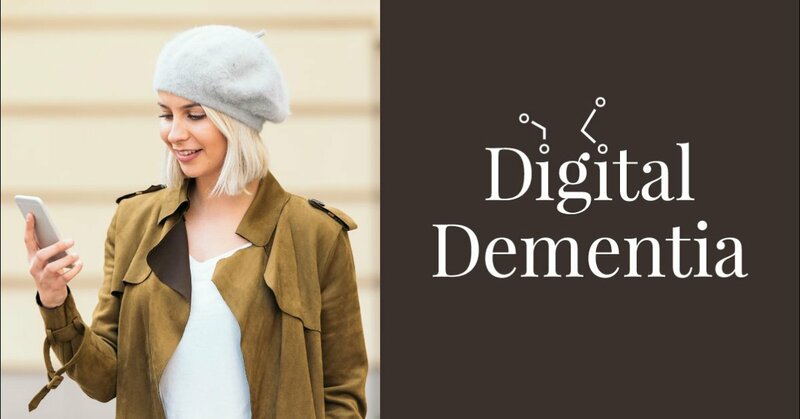 Our goal for Digital Dementia is to improve your physical posture and ergonomic design while at work in order to prevent the ill health effects of tech neck and digital dementia. Your health is your greatest asset! All are welcome to join this interactive event, please feel free to invite others you care about to sign up as well. Posture is a keystone of health! We can help you protect your spine and improve your posture with immediately implementable techniques. Can’t Wait To Share With You On Thursday, May 16th At 6:00 pm CDT!